CORT Furniture Rental For Students Studying in the U.S.
Don’t try to fit your life into a suitcase. Furniture Rental for Students Studying in the U.S.A.
Furnish your apartment before you even arrive at school. Studying abroad is a once-in-a-lifetime experience. Fill it with memories, not inconveniences. Meet Genevieve. She used CORT furniture rental twice while studying acting in Los Angeles. When Genevieve moved from New Zealand to Los Angeles, California to study acting, she wanted to fully immerse herself in U.S. culture. While she knew she would love taking a full load of classes each semester, she didn’t expect the hardships of moving three times within two years. To help her feel a little more settled, Genevieve called on CORT to deliver furniture for her three-bedroom apartment, where she and two roommates split the cost of furniture rental. Being on a student visa, Genevieve isn’t quite sure what months following graduation will look like, but she knows she can count on CORT whether she stays in the U.S. or returns to New Zealand. See how CORT helped Genevieve fully embrace her study abroad experience in the United States. Not sure how long you’ll be studying in the U.S.? CORT has lease term options that allow you to keep your furniture even after you graduate or have it picked up when your lease term is up. Whether you're staying for three months, a year or longer, CORT helps you find the best match for your stay. We know you’re coming from far away. CORT makes it easy to arrange for your furniture package to be delivered and installed before you arrive to school. Your prompt, professional delivery includes a complete furniture package setup down to the last pillow, lampshade and spoon. Feel at home the moment you arrive. Instead of purchasing large pieces of furniture that you’ll need to get rid of at the end of your semester, let CORT provide what you need. Rent foundation pieces for your bedroom, living room and dining room furniture, and add your own accessories to make your apartment your own. CORT provides information about furniture rental for Students in Chinese, Korean, Japanese, Russian, Spanish and Portuguese. The CORT furniture rental process is designed to be as easy as possible for students studying abroad. You choose from one of our three student packages, hand picked by our professional design team or shop by the room to pick pieces that match your personal style. Then select any additional items you may need (including bed linens, coffee maker, towels and more) and checkout online! Using an international credit card? No problem! We can get you approved. Our team will do the heavy lifting and make sure your home is set up before you step off the plane. "I didn’t know you could rent furniture online! I split the costs with my two roommates, which is cheaper than buying brand new furniture. The best part was how convenient it was. I arrived in Los Angeles and my furniture was assembled for me. When I’m ready to go, they’ll come back and pick it up." *Student Packages based on available inventory. Every package comes with three rooms of furniture, hand picked by our professional design team. 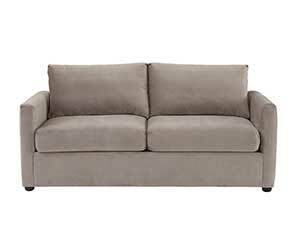 The modern loft style Myron has a classic contemporary design, namely a tuxedo silhouette and slim track arms with boxy cushions. 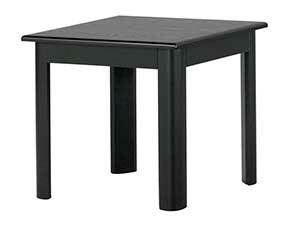 The Eclipse end table features a rich black finish with a wood grain top that creates texture and adds visual depth. 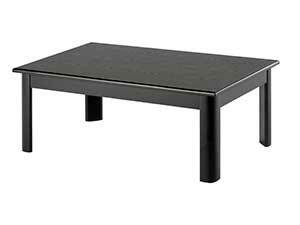 The Eclipse cocktail table has a glossy black finish in a distinct wood grain finish. 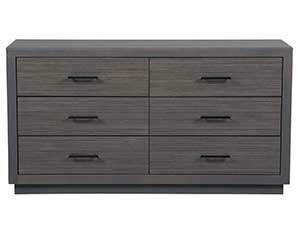 For modular style and space saving practicality, rent the Dorian dresser and mirror. A simple framed portrait style mirror tops the dresser. 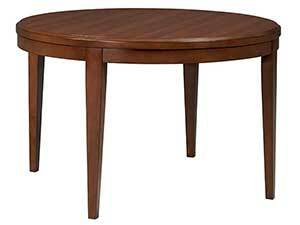 The Beaumont round dining table displays a beautiful wood grain finish, beveled edge top and rounded legs, giving this table its stylish sophistication. 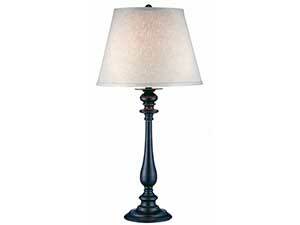 The elegant candlestick shape and glossy black metal finish of the Lancaster table lamp makes a striking statement in your contemporary home.